There were several water events that were held over last week in New Orleans that encompassed the "Water Hackathon." This series was put on by Public Lab and Water Works sponsored by Rackspace and the Propeller Incubator. The first event on November 18th was broadcast live on the Public Lab OpenHour page and brought 33 people from all over New Orleans. Together we explored who held water data, where to access it and what data we were interested in exploring or collecting in the future. Emily Danielson, Policy and Program Strategy Manage at the Institute of Women & Ethnic Studies facilitated the first half of the event while @donblair managed the second half of the event where we worked to build coquis. Many of us at the event had never dealt with circuit board electronics, but had vested interest in water quality. It was really exciting when everyone got their coquis to work under the exceptional guidance of Don Blair! By the end of the event, people were getting pretty creative, trying to see how sensitive the coqui could be to different temperatures, different substances and even using piano tuners to define the pitches of certain conductivity levels! The second event that we hosted in the Water Hackathon was geared towards working with the Riffle. This event was aimed towards taking a closer look at water quality monitoring through the use of the Riffle. 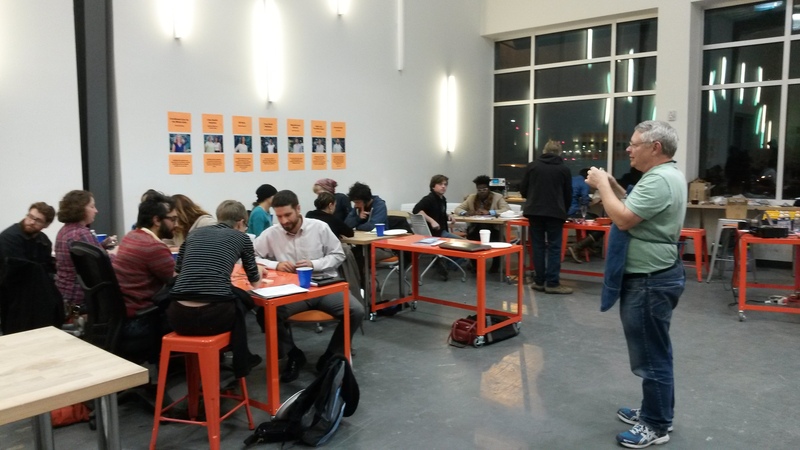 Seventeen of us gathered for this event at Propeller and managed an exciting night of water hacking! 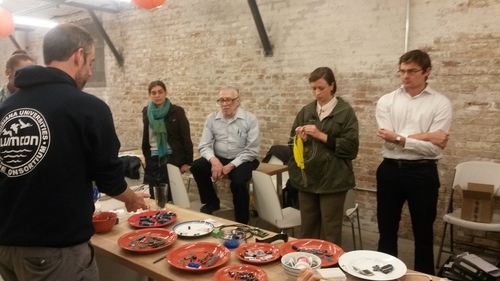 To start, Don plated our electronics and we ran an interesting icebreaker where people chose an electronic piece from the table, gave it a name and said what water quality parameter their device helped to explore. See some of them on this post by @warren.